Valentine's Day is sneaking up, and if you are like me, you have done nothing. But we still have time! And we can still avoid doing the same old thing. This holiday has a particularly bad reputation in regards to materialism. At this point, flowers, candy, and a card (maybe a stuffed animal too) are so prescribed that getting them feels more like a requirement than a gift. And nothing says romance like an obligation. I am not trying to say skip the holiday. You hear me, husband? No skipping. I love holidays and I think lots of people out there could use being loved on a little this time of year. But, maybe it's time to give each other permission to step out of the heart-shaped box and do something a little more interesting. The normal trifecta- flower, chocolates, card- are all relatively cheap, but they aren't very interesting and they come at a high environmental cost. If you are trying to have a positive environmental impact, some of these gifts- like plastic-wrapped flowers (often already shipped long distances), those wasteful heart-shaped boxes, and cards made from paper that was neither recycled or recyclable won't do the trick. If your person does like chocolate, we already have a big list of chocolates that you can get locally, supporting the companies employing people near you. If you still want to give a card, check out this list of eco-friendly card sellers or check out those geniuses at Etsy. People exchange 180 million cards annually for Valentine's Day. Can you imagine how many trees we could save if they were all recycled? Otherwise, it's time to assess what we really need from our partners this year. My thought is that if we are really looking for some affirmation, a little bit of romance, or a few moments worth remembering in the midst of banal, grey winter months, maybe we don't need a physical gift at all. Let's try buying each other experience gifts this year and just see what happens. For Christmas, we talked about gifts that don't take up any room under the tree. 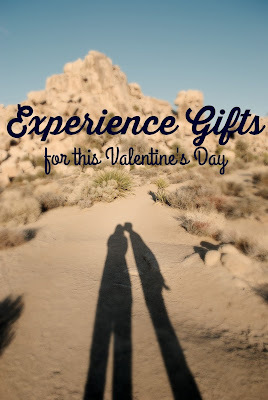 For Valentine's Day, let's try buying fewer gifts (one great gift instead of a few obligatory ones) and let's consider experiences. You can have a home full of "love tokens," but wouldn't you rather have a love fueled by new experiences and a life full of amazing memories? Food is the heart of romance, right? Or is it just the key to my heart? Why not pick a gift that takes a banal daily task and reinserts some fun into it? I love the idea of cooking lessons, because you get to work as a team and learn a new skill that might actually come in handy. And you are sure to gain some new inside jokes or memories with some devoted time to be together. If you want to give a physical gift as well, you could pick a needed small kitchen tool (I love Epicurean turners or Best Manufacturers whisks) or a cool spice or ingredient. On the other hand, if all the classes in the world aren't going to help your partner enjoy cooking, you could get a couple of meals from a meal service. Super practical as gifts go, but having some breaks on the horizon is enough to make anyone's day. These are gaining lots of speed, so check if there is a meal service owned near you! Dance classes guarantee the gift of more time together in the future. I also think there is nothing worse than having one partner who wants to dance and another who won't do it. That is the lamest. Guys especially, know that sitting out from dancing does not maintain some sense of your cool. It just makes you no fun. I think this gift would be a freaking blast, and if it comes with the promise of getting out on the floor at all future weddings, it may just be the best gift ever. You could even gift it with a "coupon card" for more dancing at events. Fun and romantic at the same time. Plus, there are so many styles to try- are you a waltzing type of couple? How about swing? Check if there are any great teachers near you! February is still pretty cold, but you could come up with an experience that your partner would love outdoors. Go ziplining? Have a trip planned to your closest state or national park? Buy hiking shoes and make a long list of hikes to take this year? You could even buy a tent meant for camping later but set it up with some lights for a romantic camping trip in your own living room (or insert other outdoorsy gear you actually need and use a tent you already have). Studies and specialists consistently say that one of the ways to keep romance going (or get it started) is to have new adventures and experiences together. Have some fun conversations about things that you both have wanted to do and go do it. Get away from the regular day to day and have a miniature adventure. Ok, this gift isn't quite as object-free as the others, but why not buy a plant (or pick a plant to buy since February is still early in most places) and plant it together? Plant a tree you can put a plaque on. Plant a bush that reminds your partner of home. Plant a little herb garden. If you do something that grows, it will be a gift that keeps on giving. You could also get a little plaque to make it that much more official. Don't have a plantable space but want to make the world a little greener for your someone who has everything they want? You could also buy trees in honor of your love from The Arbor Day Foundation or Plant a Billion Trees. I think this is a pretty romantic gift, but I personally would be happy if people always bought trees, because we desperately need them. I think "spa day" comes up any time you look for experience gifts for adults. Sure, that might be great, depending on your partner and how skeevy they find massages. But there is this assumption that everyone wants this thing, and it doesn't ring true to me. I don't care how many cucumbers are on my face, if I come home an hour later and everything is still chaos, I am not sure we have accomplished much. If you want to give an amazing gift to the person you love, why not think about what would be really relaxing to them. A day at the beach? A whole day in bed? Reading a book? Going for a walk? Relaxing means something different to everyone, the key is to know your person, do all the prep yourself, and have the house cleaned while you are gone (I kid, but only sort of). Ok, this one is a little seedy, so if you are a pearl clutcher (or an immediate family member) just keep it moving to number 7. Pre-baby, we took a couples workshop for new parents. The teacher, a cute, elderly Gottman-following lady named Rosealys told us a story about she and her recently departed husband. They were young parents, overwhelmed with two little ones and dying for some alone time. One day, she had picked him up from the airport, and rather than going home to their kids, they went to cheap hourly hotel room and had at each other. When the babysitter asked, his flight was delayed. Rosealys, you are a saucy genius. And who wouldn't love this "experience" gift? I am not suggesting an hourly hotel room would necessarily be a great idea (unless you also want to buy drugs as a bonus gift), but why not call around and find somewhere that allows an early check in? From the outside, you could just be going through your regular routine, but you have the chance to break out of it and have an afternoon worth remembering. I seriously love this idea for young parents- I mean, I am happy to be doing mostly anything without having to worry when I hear a noise (or no noise) in another room. You could just order a pizza and watch tv, and it would still be worth remembering. This story actually makes me feel the feels, because Rosealys's husband passed away from Alzheimer's (which gets me every time), but it makes this afternoon delight story poignant instead of just fun . How lucky can you be to share a treasured memory with just one other person, even if you only get to share it for a while. I love anything that you know will be a good memory in the future and a fun thing to look forward to now. Plus, you can add to the build up and only let your partner know the plans as they need to. Might be the best Valentine's Day gift ever. Going out to dinner on Valentine's Day is a fool's game. Most restaurants are packed with jacked up prices and limited menus. To me, that is a perfect night to have a great dinner in (The Boy is a great cook, so it's a big treat actually). But just because Valentine's isn't about going out, doesn't mean it can't be about going out. 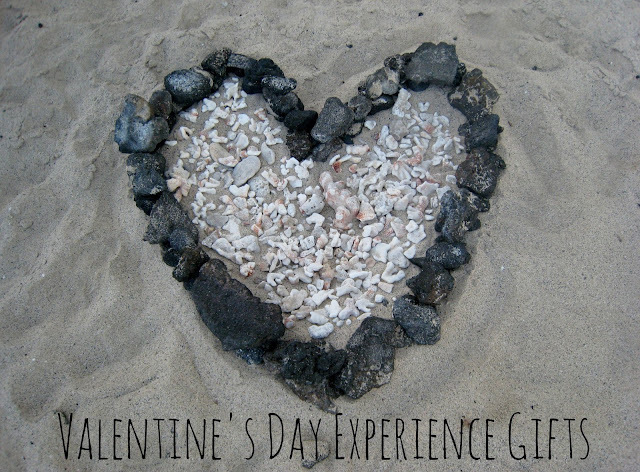 It is so easy to get in a rut, so why not use your Valentine's Day gift as an opportunity to try new things or go big every once in a while? Try getting a bunch of different gift certificates to restaurants you have been meaning to try as a couple. You can use them on nights you would have gone out anyway, but with this gift, you can enjoy locally-owned restaurants where things are a little more expensive. Baseball tickets, theater tickets, tickets for a ferry ride, hockey tickets, concert tickets or even movie tickets. It doesn't have to be a big thing, but buying tickets means more fun dates in the future. You get bonus points if it is something your partner is really into. Want to go a little crazy? Buy the cheapest plane ticket from your nearest airport and spend 12 or 24 hours somewhere else. Have your Valentine's meal in another city. Yes, it is crazy, but if you watch for sales, are flexible about dates, and maybe work as a team, it might not be much more than whatever you would have bought. Start poking around to see if there is anything that would be perfect coming up near you. You may be surprised how many things your person would really like doing! For Christmas, The Boy made me a compilation video of all the videos we had made over 2016 (he is working on 2017 now). I LOVE this gift. It cost him no money, it makes no new waste, and it is so thoughtful to me. Maybe you could do something like that? If you are more of a picture-taking pair, you could buy them a gift card for Artifact Uprising or Minted and pick some pictures you like that they could pick for prints or a calendar. If you want to go big, why not hire a photographer to take some pictures of you as a couple or a family? Those would be treasured much longer than flowers or candy. It ends up being a material gift, but the experience is part of it, and you know it will be meaningful. Just remember, the whole "thought that counts" saying isn't a myth. You are better off giving a gift you put genuine thought into than spending more on one of those obligatory gifts. Your love is original, your relationship has its own version of romance, why are you giving the same gift as everybody else? 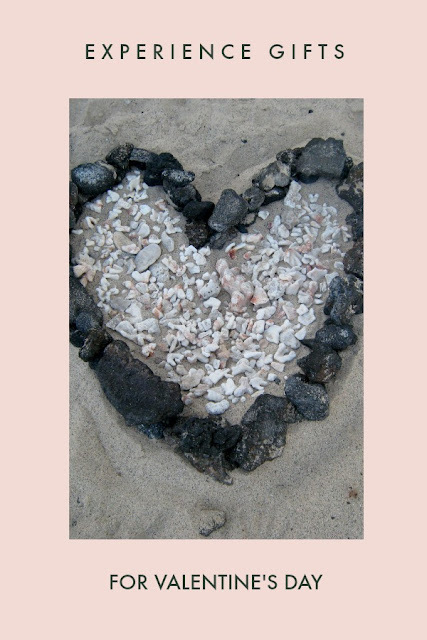 Alright, you romantics out there, what are your plans for Valentine's Day? Got any cool ideas? Wow such a beautifully written post. And the ideas shared by you are not the usual gifting but most definitely unique ones. I loved point number 2 and 6 the most. Would love to try these this year for sure. These are some wonderful romantic ideas! I will have to use these on my next date night as well other special romantic moments!